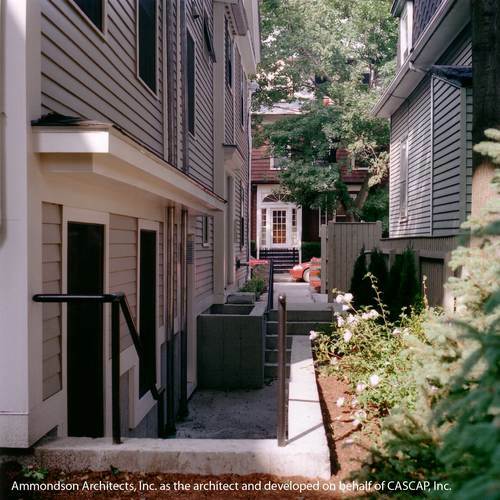 New Seasons Development, LLC, an affordable housing development consulting firm, creates high quality, environmentally sensitive, and thoughtfully designed residences for households of all income levels within Massachusetts. We facilitate the development of housing that is attractive, location-appropriate, highly functional, sustainable, and built at a reasonable cost. New Seasons is devoted to addressing the Commonwealth's need for a broad range of housing choices without undermining the character and fabric of its communities. New Seasons Development is a for-profit residential and commercial real estate development consulting firm that assists its clients in the development of affordable, mixed-income, and market-rate housing. As a key member of the project development team, NSD’s role relates to the program design, structuring, and financing of the project. New Seasons provides non-profit and for-profit clients with knowledgeable and affordable assistance about how the affordable housing industry, financing programs, and government processes operate. NSD has expanded its client base as well as its capacity to serve its clients over time. Since NSD’s inception in mid-2014, its clients served annually has grown over 400%; its projects have increased over 300%. Its staffing capacity has grown from two to three people. New Seasons offers real estate advisory services designed for both the new construction and rehabilitation of multi-family buildings. We work with owners and developers on financing, including obtaining and satisfying requirements for public funding sources, such as state and federal Low Income Housing Tax Credits (LIHTC), Housing Development Incentive Program tax credits, tax exempt bonds, Community Preservation Act funding, CDBG and HOME funds, state bond funded subsidy programs for housing, and state and federal Historic Tax Credits. NSD’s clients include housing developers and municipalities or housing authorities. We work closely with architects, contractors, public officials, lenders and investors. We review project development concepts within the context of zoning, financing opportunities, and overall feasibility. New Seasons’ President Wendy Cohen brings more than 25 years of experience as a lender in the quasi-public sector, as Director of Housing Development in the non-profit sector, and as LIHTC program director for the Commonwealth, and most recently as a development consultant. New Seasons is a woman-owned business enterprise certified by the Commonwealth of Massachusetts’ Supplier Diversity Office. The New Seasons team, comprised of Wendy Cohen, Meg Kiely Close, and Toni Coyne Hall, provides exceptional public and private real estate experience at highly competitive pricing.